I was brainstorming what else I could potentially make an A-Z list of, now that I've covered quite a few already, and settled on choosing my favourite albums for each letter. This produces an interesting list, as it means some of my favourite bands are featured multiple times, while other letters throw up albums I don't listen to as often, but I have few other options for that letter - or some letters have nothing at all! This is by no means my all-time favourite albums, because of that fact, nor is this the best albums of all-time, as everything is chosen from my own iTunes library. 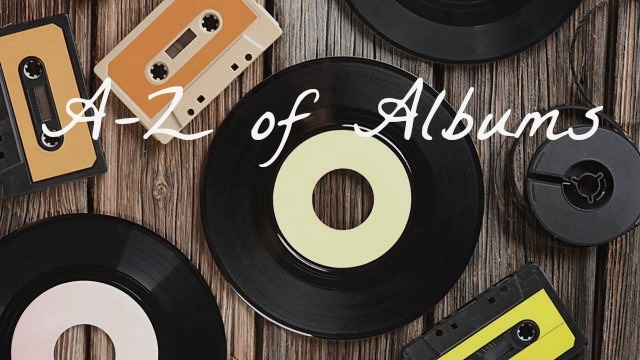 It's an A-Z of my favourite albums, from the bands I listen to. I've linked back to some of my own reviews, for more details on some of these, and linked to Amazon for those interested in purchasing any of these (I'm an affiliate, so I will receive commission on purchases). This was the only album released by Pure Love, before Frank Carter went on to form the Rattlesnakes, and although I like that band, Pure Love's sound was a bit more up my street. Aptly named, it's a record of big songs, with a slightly softer sound than any of Carter's other projects. Catfish & the Bottlemen's debut is a firm favourite of mine - I was a little disappointed in its follow-up by comparison. With its memorable cover art, and similarly cheeky, to-the-point lyrics, they were clearly not trying to be overly poetic or pretentious. It's an everyman's album, with songs we can all relate to, set to catchy melodies. Anyone who knows my music taste at all should not be surprised by the inclusion of You Me At Six albums on this list, because of course there are. 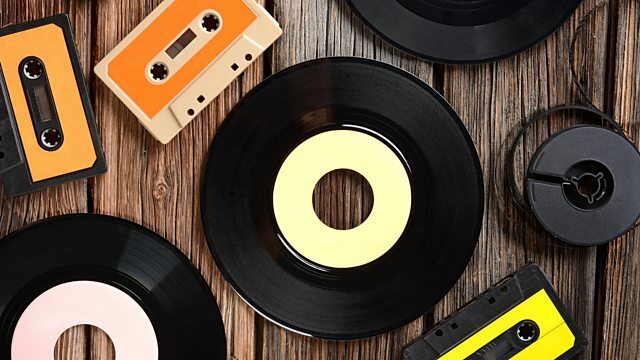 They've been my favourites for years now, and I think my music taste has grown alongside them, as while I love all their records for nostalgia's sake, their more recent ones are probably my current favourites. Cavalier Youth is a big, determined, and honest album, which transitioned them into playing some huge venues, and contains some of my very favourite songs of theirs. I was a bit late to the Set It Off party, but this was the album that first got me listening to them. There's a lot of attitude, with some big songs, memorable lyrics, and all set to this pop-punk sound. It does veer further into pop than my typical taste on occasions, but they make it work! This is the fourth, and most recent, album from Young Guns - I don't really have a favourite record of theirs, they're all pretty on par, so I went with Echoes since I had limited options for 'E'! There was a return to instrument-heavy alt-rock on this release, right up my street, accompanied by one of my favourite vocalists out there. I've enjoyed most of All Time Low's albums, but Future Hearts is definitely one of my favourites recently. I felt it was everything that was best about them; meaningful and at times funny lyrics; fast, upbeat, catchy melodies, with a few slower ones mixed in; and an emphasis on traditional instrumentation, keeping them well in enough in the pop-punk world. I love Twin Atlantic, they've been a firm favourite for years, and their most recent release, named for their hometown, is definitely one of their best so far. It's scrappy, rough round the edges, authentic rock'n'roll. It was a step back towards their roots, and feel very wild and instinctual, embracing a little chaos and a little impulsiveness in their song writing. Most of all, it reminds me very much of home too, even if I'm a Scot but not from Glasgow. Oh, I miss Canterbury. They weren't one of my all-time favourites, but they produced a couple of great albums, with this being my favourite of theirs. They're songwriting was big, reaching skywards and experimenting with a plethora of other instruments, and this album contains some really fun tracks. This is the debut full-length album from Against The Current, and after enjoying their first few EPs considerably, I was excited about this too. It's a great pop-rock album, with plenty of attitude and ferocity on some tracks, and softness and vulnerability on others; tracks that are upbeat and guitar-heavy, others that are slower and experiment with synths; showcasing every angle of the band. J - No albums starting with J in my collection! Finding this album again, as my only option for K, was a bit of a blast from the past. I listened to Futures a while back, and haven't in some time, but there are a few gems on this album that I enjoyed re-discovering while putting this list together. It's an indie rock sort of album, with a bit of a soft, haunting quality to a lot of it. This self-titled album was the fourth to come from the band, and the first of their I really enjoyed. Their rock music you'd think would be up my street, but I wasn't that fussy on their earlier releases, until this album, with it's catchy alt-rock sounds. I was hoping I'd continue to like them as time went on, but their most recent release (Safe in Sound) wasn't quite as good for me either. I have very few album options for M, not a letter I was expecting that of. I haven't listened to Linkin Park in years, and an not a fan of their recent mainstream shift. This was really their only album that I really enjoyed (I know, I know, why not Meteora? But it just didn't do it for me), and I definitely still know most of the words to some of its biggest songs! Yes, more You Me At Six. They've never failed me yet, and their latest album was no different. Their sound has matured alongside me (I started listening to them when I was about 14 or 15), and Night People has lots of darker, moody tracks, as well as energetic, upbeat ones too. This album has resonated with very strongly on a lyrical level, at a time when I wasn't super happy with life, and it made a huge impact on me. Deaf Havana nearly got two entries on this list too, but I wanted to include 'Anthems' for A (as much as I love their newest album). But for me, Old Souls is one of the best overall albums ever; I love the energetic, guitar-heavy, rock 'n' roll style; I love the raw, emotional honesty of the lyrics; and I love every single song on it, without exception. Don Broco's debut was a huge effort, oozing so much confidence and swagger for such a new band. It took me a little while to really get into it, and there's points where songs starts to sound a little too similar, but overall, I've ended up really liking their big, brash, confident sound, and their follow-up was just as good too! Q - Nope, nothing for Q in my collection. This self-titled debut album was a great release. I haven't listened to it in a while, but the songs on it are so catchy, and have so much attitude to them. There's this sort of effortless swagger to it, with strong guitar riffs creating a sort of groove throughout, that's just unfailingly cool. I've yet to check out the follow-up though, I must download that soon! I've always half listened to Fall Out Boy - they were at their peak as I was starting to get into rock, pop-punk and all that sort of music, so I couldn't help be aware of them, but it was their first post-hiatus album that really caught my attention, and their first album I listened to all of repeatedly. I haven't enjoyed the subsequent releases quite as much, so this is certainly their stand-out album for me. Bring Me The Horizon's early music was huge in the screamo sort of genre, but that's not really my thing, so it's only their more recent releases that I've enjoyed more. This was the first album of theirs I really, really enjoyed all the way through, with these very emotional, raw lyrics sung with cleaner vocals, and lots of catchy melodies. I didn't really expect to include Set It Off twice, but this was my only option for U. I definitely liked this album anyway though, especially the variety of songs on it, which experiment with different genres and instruments, but still come together to make a whole album that sounds like them. Twin Atlantic's first album (sometimes called a mini-album, with only 6 songs) isn't one I listen to a lot, but does contain the songs that first drew me in to listening to them. The striking Scottish accent was definitely a unique element, and the fast, energetic guitar hooks are certainly part of the reason I still like them so much today. Mallory Knox has gone from strength to strength with each subsequent album, with Wired being the most recent. It took me a few listens to really get into it, but every time a song from up pops up on my playlist, I'm reminded of how good it is, capturing a much bigger sound than previous releases, with so much heart and energy. X - Nothing starting with X in my collection! I love the debut album from Circa Waves, and still listen to it a lot now. It's so bright and fun and makes me feel like it should be summer whenever I listen. It's still in the alt-rock vein of my usual taste, but has this indie, pop, youthful energy to it that makes it a little more unique amidst the rest of my collection. Z - And nothing for Z either - any suggestions I should listen to? This post contains links to the Amazon Affiliate programme, and I will receive commission on any purchases made.